Haha! Funny how things go, eh? Feels like yesterday that 'Gwent' was a swear word. No it's all that people want! Anybody on here got any news on Dorian Jones ? There is big talk up here that he is going to sign for Merthyr. LordDowlais wrote: Anybody on here got any news on Dorian Jones ? Wouldn't surprise me. Since their dad left it must be difficult for them to get a look in! One has joined Scarlets I think. Dorian won't be far behind him (in leaving) I expect. So why is the name Gwent being used then ? I suppose Glamorgan Cricket should change it's name as well ? If Gwent was being used, the team would be called Gwent. The marketing baloney, contradictory and disingenuous as it is, is not really a measure of truth, is it? Would that be the Glamorgan who have always played home games outside of Glamorgan? Erm they play about half their games a year outside of Glamorgan. That's why I bolded the word home in my post he replied to. In fairness Griff, I have always wanted Gwent, but saw the Dragons, which is they actual name of the team, as a compromise. The fact that the WRU have come out and stated that we are a representative team for all 73 clubs is beyond what I was hoping for in terms of branding and message tbh. I can only imagine the rush to buy season tickets will dwarf any of the previous years. That is the acid test for the 'regional' brand. Well, that and Gavin's priapism. It will be really embarrassing if no f6cker from 'Gwent' buys...but at least one person will feel warm and fuzzy. (Also should've read it better to begin). Only concern is that we have the skills base to build on, fairly sure we had the same debate last year. We are talking about guys with a low talent ceiling for the most part, without disrespect. I like the approach. Previous coaches tried to play a forwards game without the personnel. The young players and academy graduates all stagnated - maybe Jackman is the right man to get them moving forward again? That is why I am not expecting massive improvements in terms of results, but hopefully with the approach and the new pitch, it might be an easiery watch at times this season. We have a few trialists from teams which are big units. We appear to have a lad from Pooler who is a tight head and 6'5. Didn't come through the academy system. Be interesting to see if any of these types come through. mikey_dragon wrote: I like the approach. Previous coaches tried to play a forwards game without the personnel. The young players and academy graduates all stagnated - maybe Jackman is the right man to get them moving forward again? Dixon is in this category for me. If he doesn't improve this season, I fear he could be moving down a level. Any front rowers out there want to comment on a 6'5" tight head? Sounds bloody useless to me. Don't agree. He was good when he was on the pitch last season. Ain't Rhodri Jones something like 6'2"+ doesn't bode well. I think if the team put in some pretty loses (or tight loses) in the coming season against the bigger sides it will be seen as a movement in the right direction by the bosses, especially if there are some gritty ground out wins away to go with it. On the subject of players needing to step it up or ending up in the semi-pros I think Jackman is the sort to give them a few weeks in the prem if they are not performing, and likewise call up lads from the semi-pros if they are going well down there. I'd honestly not be too surprised if there's a few moving up/down as the season progresses. That sounds regio-tastic, wonder if Newport RFC will get a few now. We tend to drag the better teams into a sh1t fight or get bummed into orbit, it's the teams shuffling around us in the bottom half I'd be demanding improvement against. We seem to have a mental block against teams we should in theory have a better chance of picking up points from. 6'5 sounds way too big for a prop aye. Dixon shouldn't be 12 for me. If we are all out attack, then it's Henson at 12, or Beard. Need a distributor and not a Roberts clone. Unfortunately for Dixon a) the crash ball inside centre has gone out of fashion a bit and/or defences are very clued up on how to stop it, and b) for a Roberts clone he is tiny in comparison which makes him pretty ineffective as a crash ball player. By comparison Roberts is 6'4" and 17 stone 5lb while Dixon is (edit) 6'2". Certainly not a crash ball one." and only 14 stone 2lb. That's really not big for a modern pro centre. Certainly not a crash ball one. He's basically the same size and weight as Dan Biggar. Fine at U20s but not now at this level. I think he needs to find a different way of playing more in line with his size relative to others at this level. Hitting gaps and distributing more rather than taking contact. Does he have the pace for that though? Edit: sorry I was using wiki as a referred. Dragons site lists Dixon as 16st 5lbs, so that's a bit like it for his position and 'role'. He's not 6'4 either. Dixon is big enough for a crashball centre but as you said it's not very effective any more. Henson at 10 with Beard at 12 for me. Agree that he's a fantastic defender, Stone. I guess the issue is that a player who is both an awesome defender AND attacker is pretty rare and would be worth big £££. He would have been snapped up by someone else if he was both I suppose. Definetely need to use him correctly though. Maybe as 'finisher', like you say. mikey_dragon wrote: He's not 6'4 either. Dixon is big enough for a crashball centre but as you said it's not very effective any more. Henson at 10 with Beard at 12 for me. Sorry that one was a typo! 6'2". Bloody small iPhone buttons. Griff wrote: Agree that he's a fantastic defender, Stone. I guess the issue is that a player who is both an awesome defender AND attacker is pretty rare and would be worth big £££. He would have been snapped up by someone else if he was both I suppose. Definetely need to use him correctly though. Maybe as 'finisher', like you say. The player pool for Wales is too small to jettison players who aren't the complete article, let alone in our corner of it. In the national team there are only a handful who I would say could do the lot - Taulupe, obviously, Warburton, Halfpenny...mist of the better Welsh players have glaring weaknesses Biggar being a great example. It's the job of the coach to come up with a way to hide those weaknesses and pass on a plan that allows them to play to their strengths. I'm not sure where the idea of Dixon being a good defender comes from. He's very strong in contact yes, but half the time players just glide past him. mikey_dragon wrote: I'm not sure where the idea of Dixon being a good defender comes from. He's very strong in contact yes, but half the time players just glide past him. Thus shizzle again. Half the time he's covering Dorian Jones in the ten channel. It's been an ominous trait of his through his pro career, regardless of whether or not he has to babysit an out of their depth 10. I've alluded to it before only for you to keep denying it so nothing has changed on either front it seems. 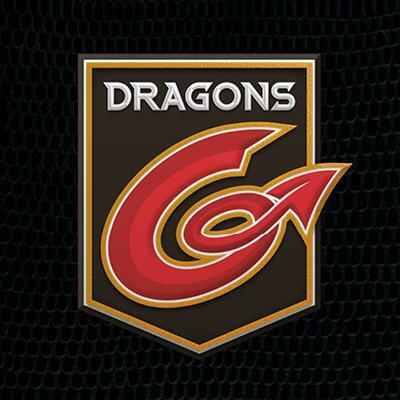 Who will be playing 10 for Dragons this season ? If it one that does not need babysitting then it has to be Henson, surely. So Henson at 12 is a non starter if this is the case. It's Angus O'Brien's shirt to lose, I'd have thought. Although I'm sure Jackman's not going to be sentimental about things. If he thinks someone's not up to it, they won't be playing (unless the alternatives are worse!). Any news about the captaincy yet? I've seen ads for season tickets with Lewis Evans centre stage, so I'm not hopeful of a change. Henson should be at 10 with McLeod as back-up. O'Brien was a bit out of his depth most of last season but I guess that happens when you chuck a youngster into a crap team. mikey_dragon wrote: Henson should be at 10 with McLeod as back-up. O'Brien was a bit out of his depth most of last season but I guess that happens when you chuck a youngster into a crap team. I think he did well given the circumstances. But I know we don't see eye to eye on O'Brien! I was underwhelmed when they announced we'd signed him, but I was really impressed by him in preseason and until he got injured - he was just always making the right decision, kicking well, 'putting us in the right areas' as they say. A steady hand on the tiller. True but I also agree he did okay given the circumstances. It remains to be seen if he can kick on. There was a lot more structure to how we played when McLeod was starting, IMO. He was less error-prone too. I don't remember Macleod putting a foot wrong. Angus, Gav and Dorian have been the three playing in training. You then have Arwel Robson too. I like Angus, but I would only play him if Gav is at 12 because he can't kick for toffee. Wasn't he top points scorer in the league last season? Okay. Well I've seen worse. I think back to the Ospreys game last year where we lost the kicking battle big time. Anguss' biggest strength is his distribution. GavinDragon wrote: I think back to the Ospreys game last year where we lost the kicking battle big time. Renewed my ST with the usual sense of dread and anticipation. Also got a free Jnr one for my mate's kid. Good offer that. Actually to give him his dues I'd say tbfhtcootgvsdw (tm) was probably our best in terms of gainline threat. I'm never convinced by that personally, but I know a few people say that a fair bit. I think if he wasn't the coach's Son there would have been a lot less criticism of him. RiscaGame wrote: I'm never convinced by that personally, but I know a few people say that a fair bit. Probably also true that a running game is less of a requisite for an effective ten than in days of old. Gain line threat tends to be the scrum half's job these days.